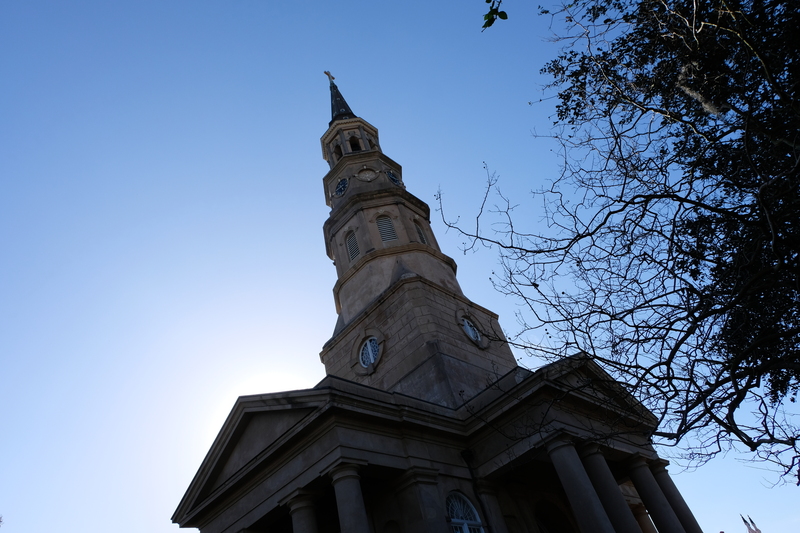 For the first time ever, I spent my birthday abroad this year; and as we welcomed my twenty-sixth year of living on board the beautiful Grandeur of the Seas, we were greeted by the historic city of Charleston by daybreak. 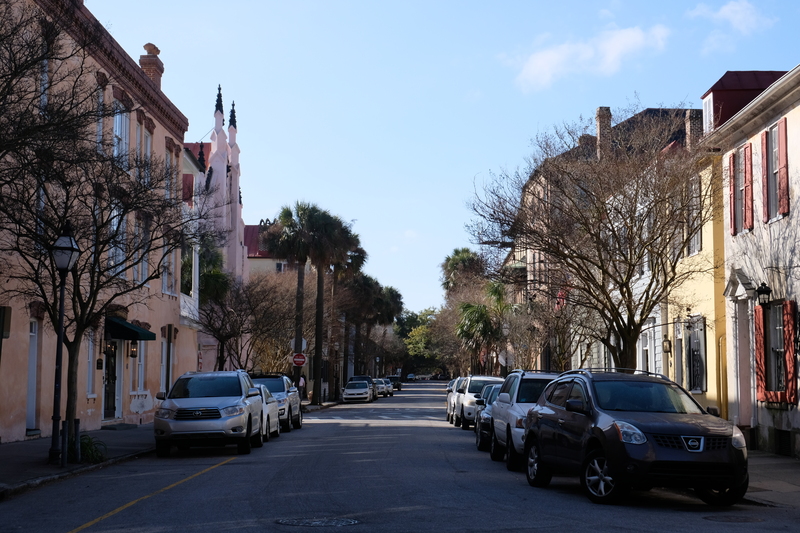 It was my first time to visit South Carolina, and I was ecstatic that I had the chance to finally see this part of the States – specially given that Charleston was named several times as one of must-visit cities in the country. I hadn’t done any previous research about what to do and where to go, as I wanted to take it easy, and go where our feet pleased; and despite making no plans whatsoever, we managed to enjoy every bit of it! It’s important to note that I never make a spectacle out of my birthday, so spending it away from home, in a foreign city was already a party in itself. What better what to spend my birthday than to do one of the things I love the most: explore a place I’ve never been to. 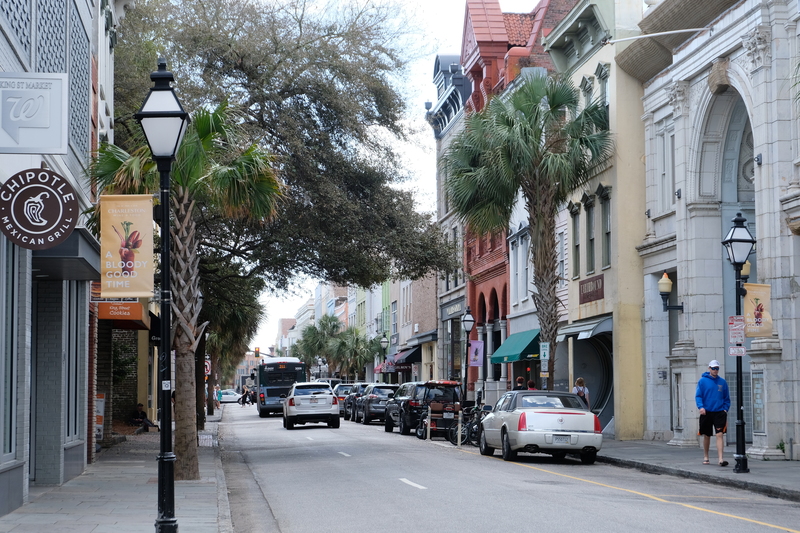 So here’s how we made the most out of spending a day in Charleston, South Carolina. It was our first port of call since we departed from Baltimore, Maryland two days prior aboard our very first cruise in North America, so when we finally docked, we were excited to the point that we were one of the first few ones who exited the ship to immediately proceed with exploring the city. 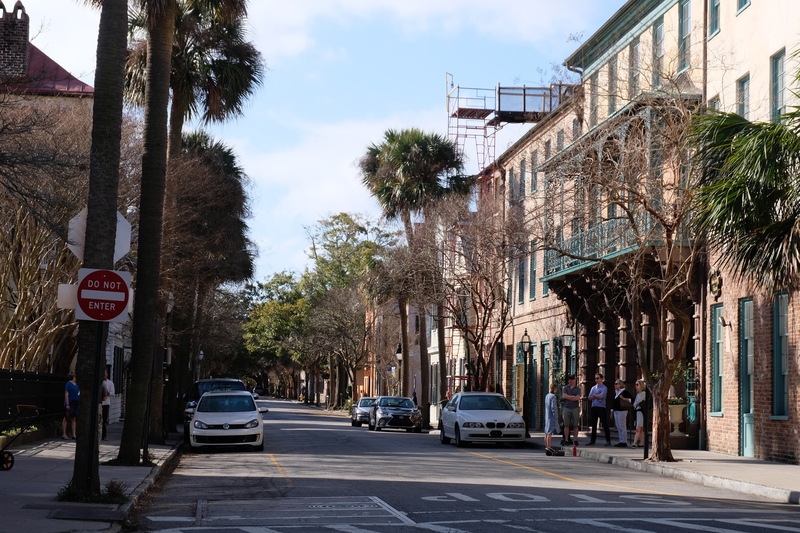 I first set my eyes on Charleston at the port, and although I didn’t spend much time here, it’s a great place to spend some time in if you’re staying in South Carolina for a few days. There’s a restaurant-cafe right by the pier, where you can have a cup of tea, as you relax right by where all the beautiful cruise ships are docked. 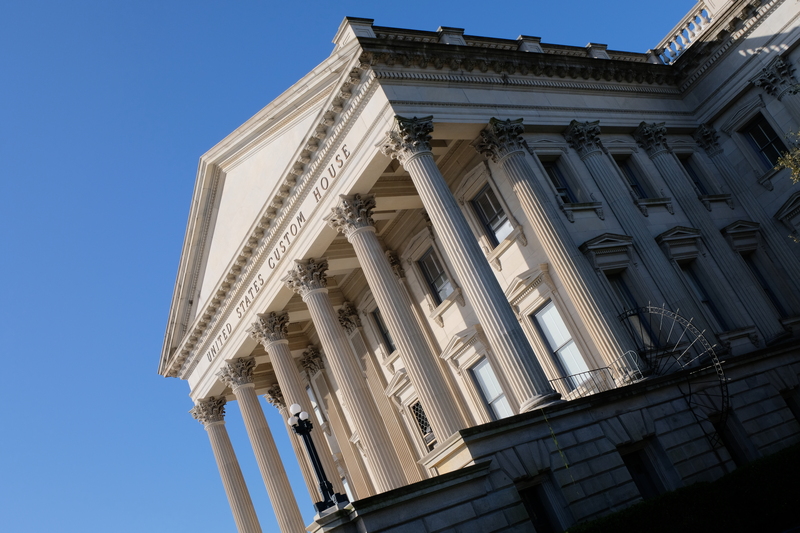 And right by the Union Pier, you’ll find the gorgeous United States Custom House building, and though small in size, it still proves regal in terms of its architecture. 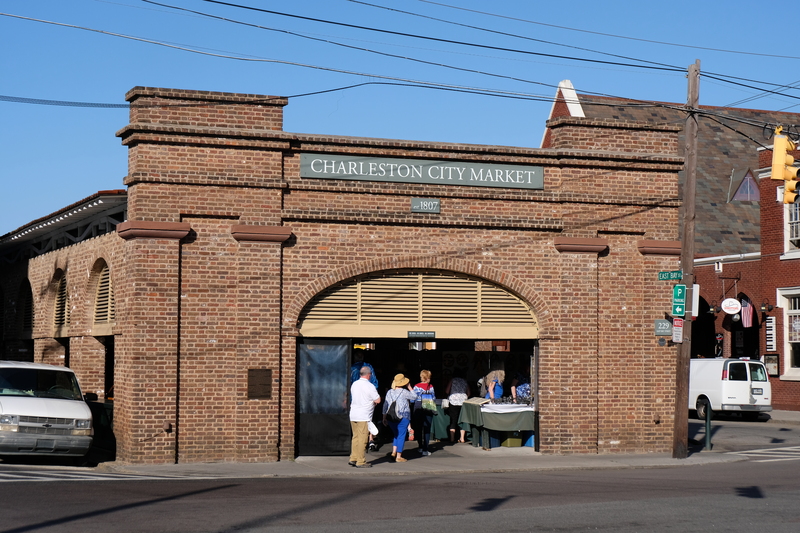 The most visited attraction in all of Charleston, established as far back as the early 1800s, is the Charleston City Market, where you can find great local gems – from cultural treasures to delicious finds. 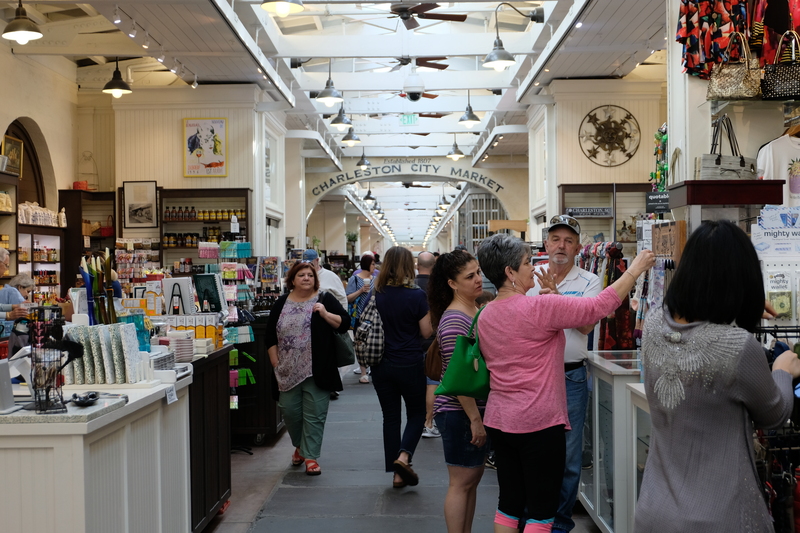 Home to more than 300 entrepreneurs, the vibrant variety it holds within its long stretch of stalls will have you scouring your way though to find that perfect souvenir – or several, whichever you so please. 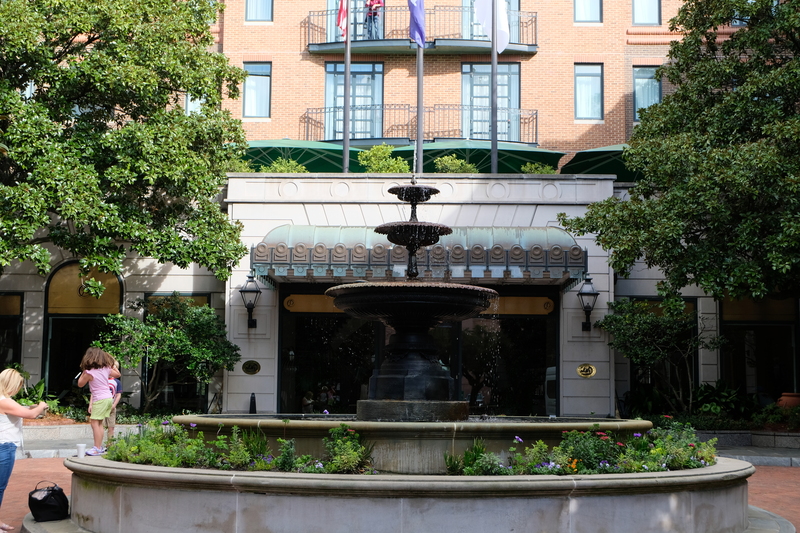 The luxurious Belmond Charleston Place is yet another attraction in the city you must not miss. 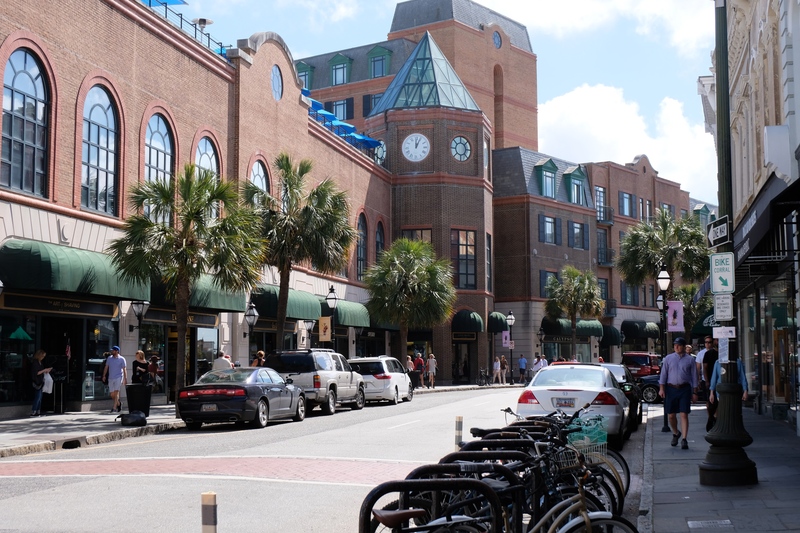 You can simply browse through The Shops or dine in Palmetto Cafe to bask in the grandeur of this beautiful hotel. It sits right in the middle of the Downtown District, so you wouldn’t have to go far to see this beauty up close and personal. 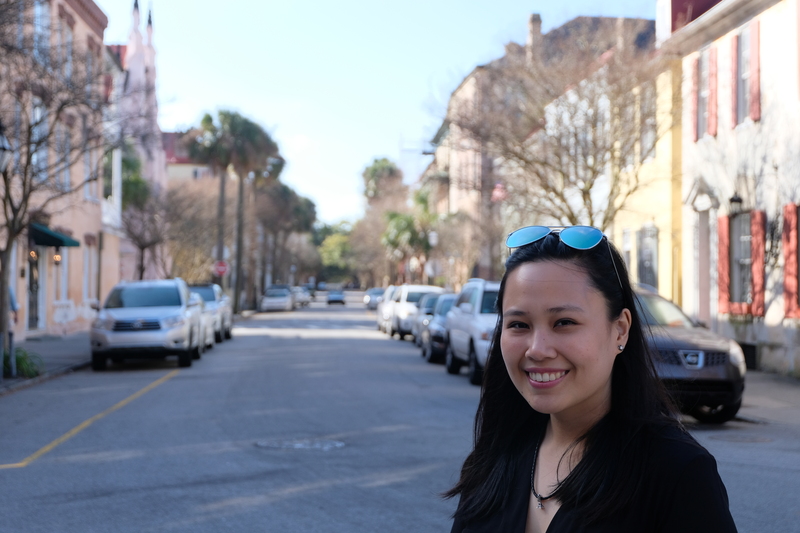 The French Quarter is, by far, my favorite place in Charleston, as it exhibits architecture that would remind you of Europe. 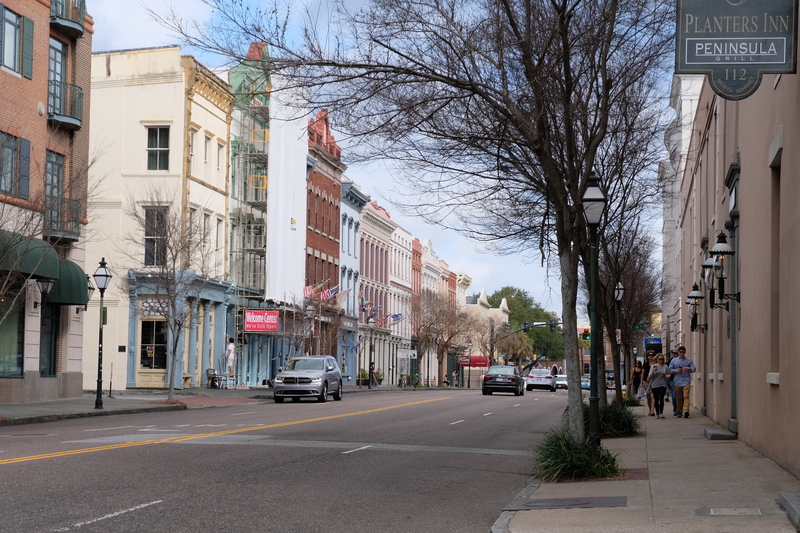 With its cobblestone streets and pastel-colored buildings, this district is filled with so much character that I wished I had seen it during busier days, and more-so, at night. We were there on a Saturday, and it was before ten in the morning, so that probably explains why there were barely any people around; but of course, like my usual self – I enjoyed the peace and quiet the French Quarter exhibited on this particular weekend morning. 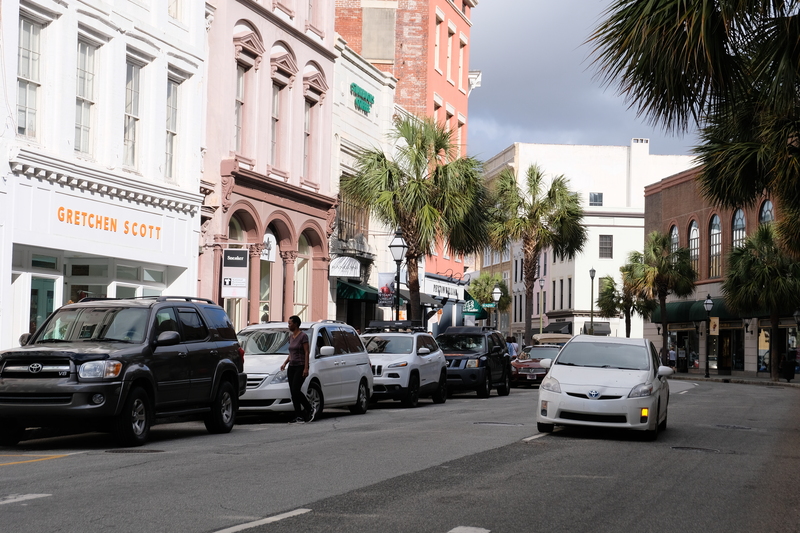 Second to the last on the list of places we visited while we were in Charleston, and of course, one I would highly recommend you take a lot of time to discover is a blanket number: the Downtown District. 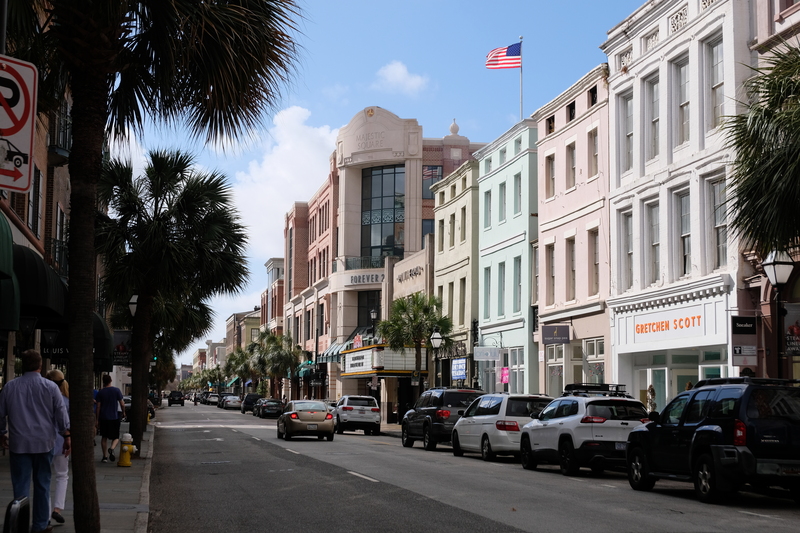 Just as vibrant as the French Quarter and as lovely, it is a far busier area with tons of shopping and retail options to choose from. 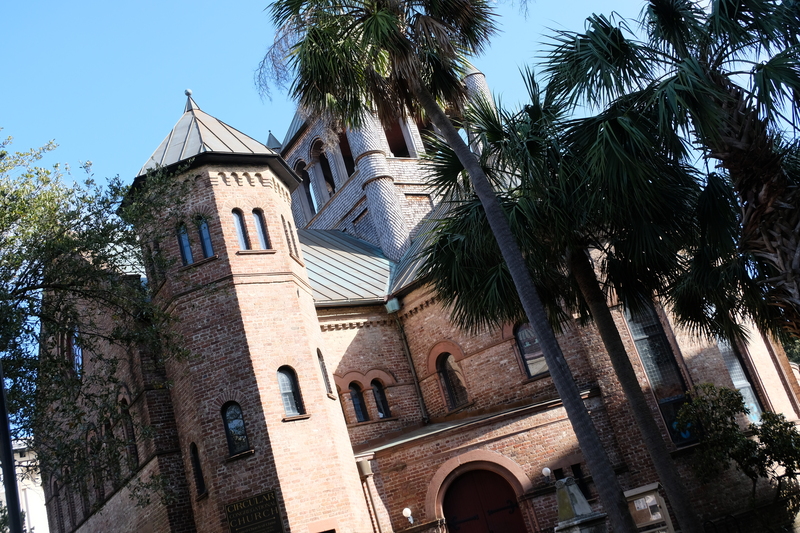 Aside from being the commercial center, it is home to several other historic monuments. That being said, while we only scratched the surface of this fantastic district, I believe this area has so much to offer. 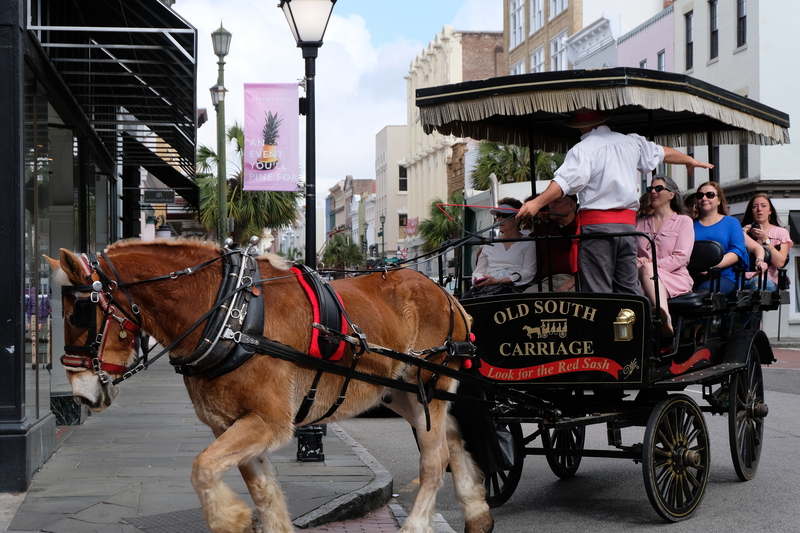 Should you have the luxury of time, why not hop on one of Charleston’s Horse Carriages and explore the city as you sit back, relax, and enjoy what your tour guide / horse carriage driver has to say! 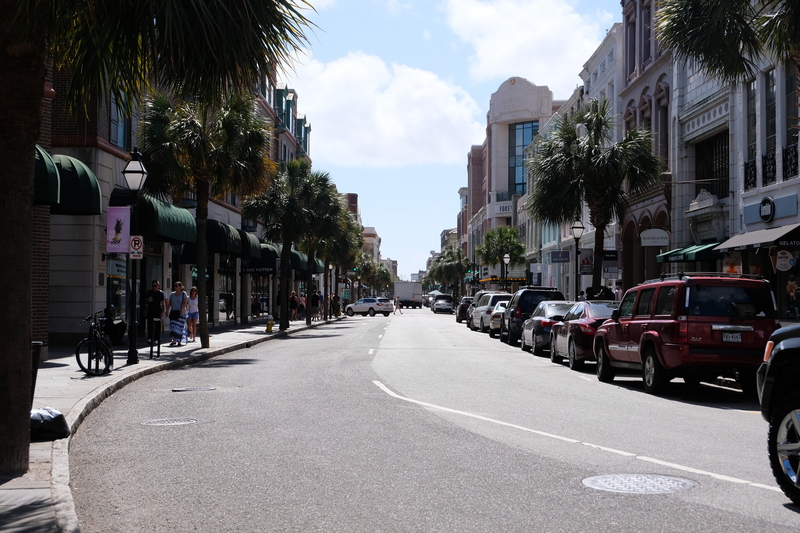 Last on my list was where we spent the last few hours of our day in Charleston: along King Street, enjoying all its retail options. The great thing of the city’s shopping district is that most, if not all, of the major stores are lined-up on this street making it all the more convenient for visitors to shop as they please. 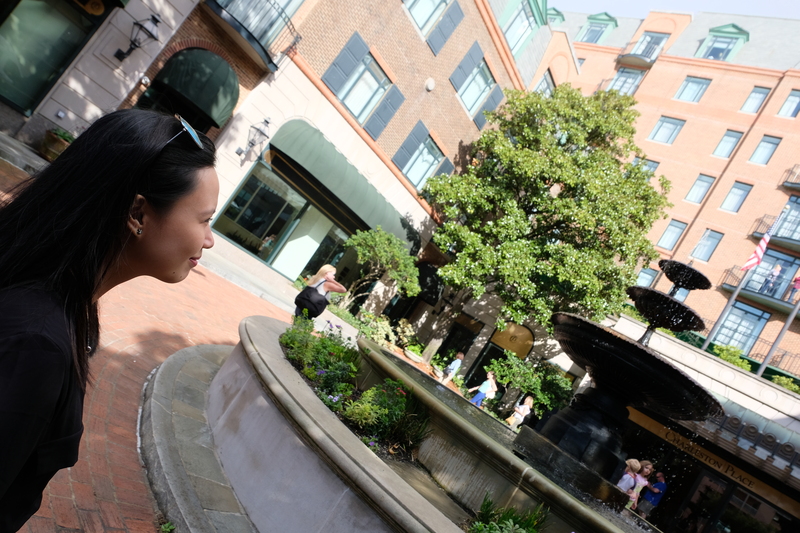 There are tons of options for anyone and everyone from reasonably-priced brands to high-class luxurious designer names, and of course, several dining / coffee shops / cafe options also along this stretch. 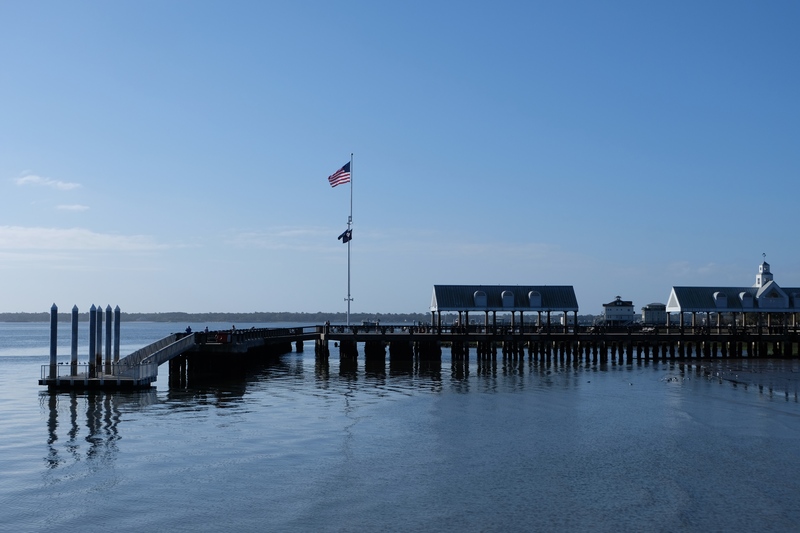 In a nutshell, I was absolutely pleased to have had the chance to visit this up and coming US destination that I honestly never thought of visiting prior, and only had the opportunity when it was part of our cruise itinerary. And I felt even more blessed that this charming little city was where I got to spend my 26th birthday! Had we stayed longer, I would have loved to see everything light up at night, but that only means I should plan a trip back – so we can stay longer, right? 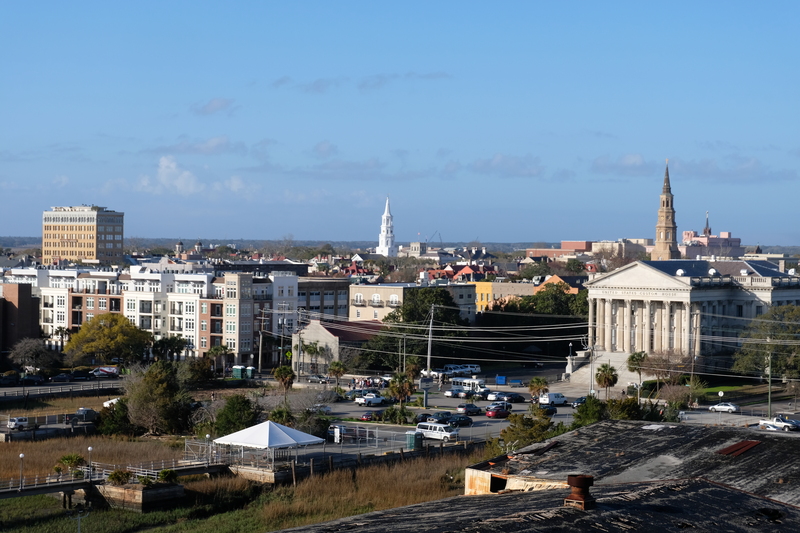 Nevertheless, Charleston truly is one of America’s most prized cities, and despite being underrated, though gaining more popularity during the more recent years, I can confirm that it surely is one of the best cities in North America!